In 2010, realising that no matter how hard I worked in my day job, it was leaving me unfulfilled, I made the radical decision to walk away from it without a job to go to. I intended to refocus my life on my writing ambitions. It reinforced the importance of books and reading not only for children but for all ages, which in turn validated my ambition to write books myself. It gave me space to explore different ways in which I could write what I wanted to write – and indeed to discover exactly what that was. The first three in my Sophie Sayers Village Mystery series – soon to be four! Using commissioned non-fiction projects and experimental short stories as stepping stones, I gradually gained the confidence and competence needed to achieve my long-term goal to write a novel. Now I’m hooked, with three novels published in the last year, the fourth due out next month, and my planned series of seven, the Sophie Sayers Village Mysteries, now starting to morph into a series of ten. But as in all of life, the things that you don’t plan are often some of the most exciting. Here are five serendipitous things that have happened to me over the last few years while I was making other plans. Not only is my writing life is the richer for them, but it turns out they’ve helped other people too. 1) Being invited to join a regular monthly spot on BBC Radio Gloucestershire‘s lunchtime show, in its Book Club slot, alongside its delightful presenters, initially Clare Carter and now Dominic Cotter, and The Bookseller’s Caroline Sanderson, to talk about our chosen book of the month and any other book-related topics that take our fancy – and I’ve discovered I love doing radio. 2) Launching a free local literature festival to bring indie authors, poets and illustrators to my community at the Hawkesbury Upton Lit Fest, with no admission charges so that visitors could save their money to buy the speakers’ books instead. 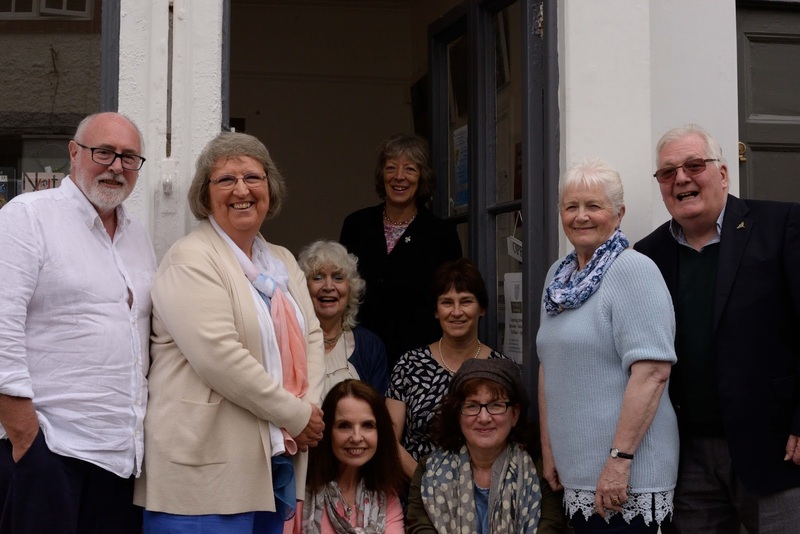 This started out as a simple plan to spend a few hours in one of the village pubs with a few writer friends – four years on, it’s somehow morphed into 50+ authors in a packed day-long programme, this year with an art exhibition running in tandem. 3) Being the inadvertent catalyst for a new book by other authors – the panel of authors I’d introduced to each other for the second Hawkesbury Upton Lit Fest to discuss writing about difference (that’s politically-correct-speak for disability, to be clear) got together afterwards to collaborate on Silent Voices, an anthology by carers and the cared-for, venting their feelings. 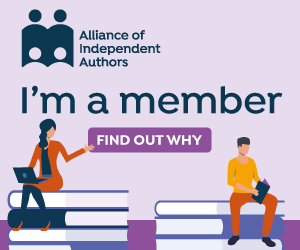 5) Helping other people achieve their publishing ambitions through what I’ve learned on my own journey as an indie author, such as enabling a 95-year-old, terminally ill refugee to turn his memoirs into a book before he died, or helping a retired neighbour revive children’s stories she’d written decades ago. Not only was I able to publish them as books, I also sent her into the village school as guest author on World Book Day, where she was very well received. Some author friends swear there is such a thing as book karma: if you’re helpful to others, that helpfulness will come back to you in some other form at a later date. 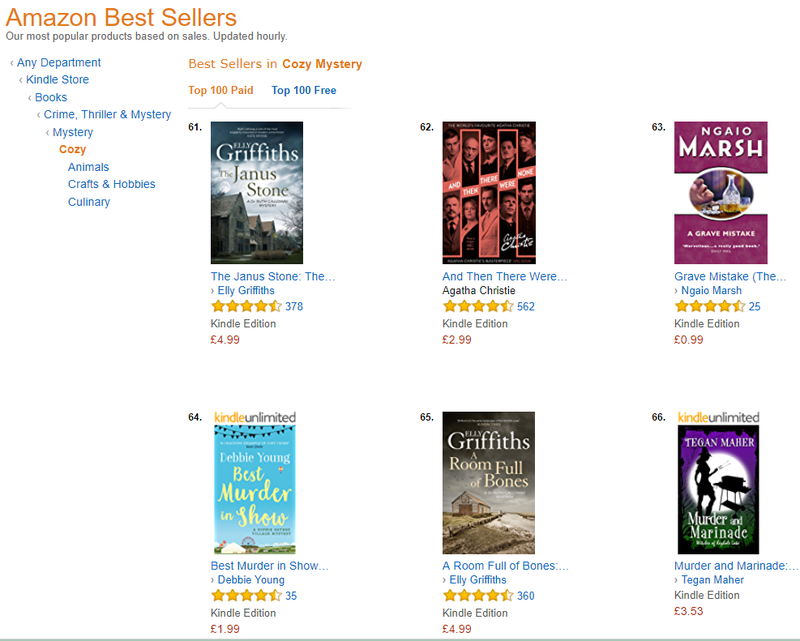 So is it karma that this week that I spotted the first book in my Sophie Sayers series rising up the cosy mystery charts? If so, I’m fine with that. When I started self-publishing my books (I’d written stories all my life but hadn’t seriously pursued publication), I thought just writing the books would be satisfying enough for me. And if anyone else benefited along the way from anything I did, I’d jokingly tell myself that virtue was its own reward, or I’d get my reward in heaven, and that would be enough for me. And if there aren’t any books in heaven? Then I’m not going. 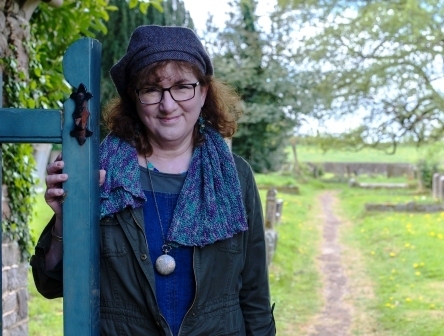 If you’re within reach of the Cotswolds, come along and join in the fun at this year’s Hawkesbury Upton Literature Festival this month, on Saturday 21st April. Download the full programme from its website, www.hulitfest.com, to help you plan your day in advance – but there’s no advance booking required, and no admission charge. Just turn up on the day and enjoy! 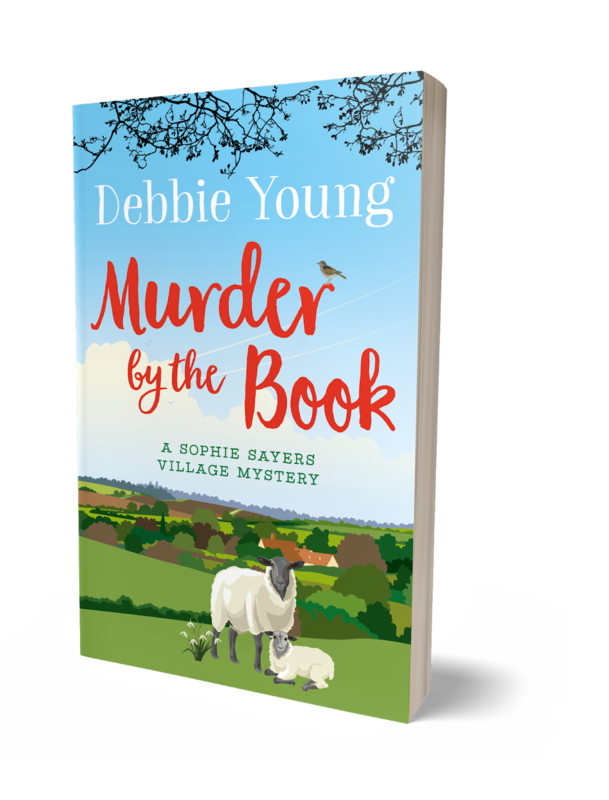 I’ll be launching the fourth in my Sophie Sayers Village Mystery series, Murder by the Book, at the Festival, but you can pre-order an ebook copy here in the meantime at the special launch price of 99p/99c, and the paperback from 21st April, at viewbook.at/MurderByTheBook. Next Post The Perfect Date?